Follow first responders as they patrol Montreal's unpredictable 19th district, in cruiser No. 2. This award-winning Canadian drama, stars Adrian Holmes (Smallville) as veteran beat cop Nick Barron and Jared Keeso (Falling Skies) as Station 19's newest squad member, Ben Chartier, a recent transfer from a rural Quebec town. As wary and mismatched new partners, they confront some of the city's most violent and bizarre crimes—and struggle to deal with their own messy lives. "In the tradition of shows like The Wire"—New York Times. 37 episodes, 29 hrs, 11 DVDs, SDH. Mature audiences. 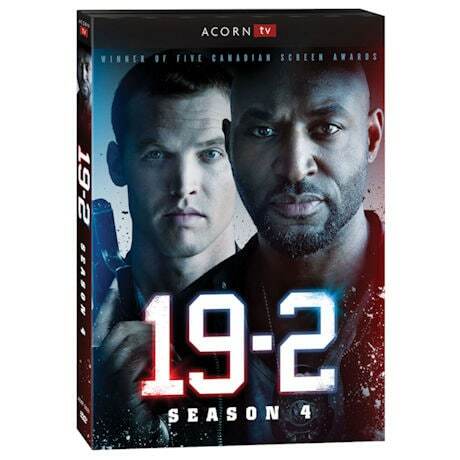 We regret we cannot ship the series 19:2 to Canada.